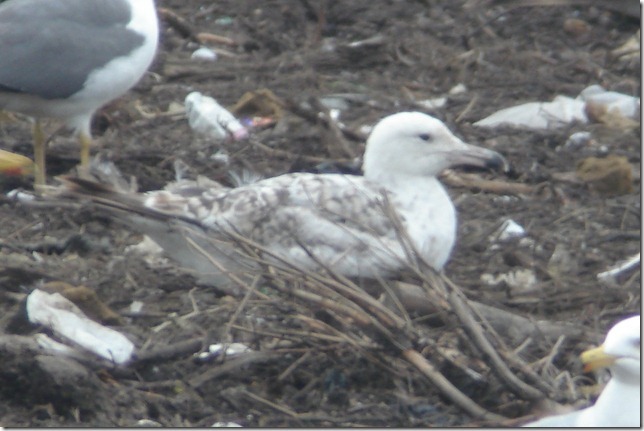 Larus cachinnans hybrid? 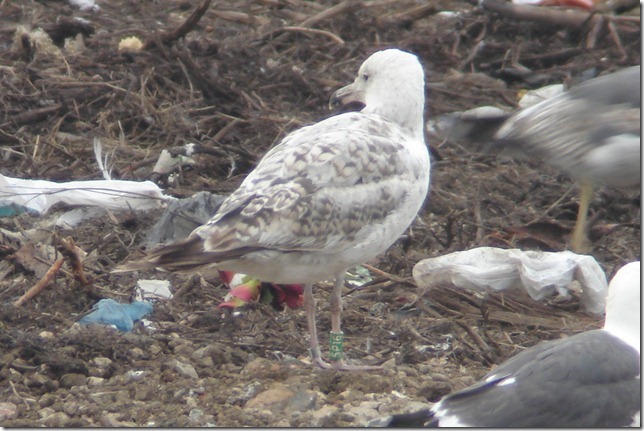 2CY 5P16 June 15 2006, Gloucester landfill site, UK. Picture: John Sanders. Green 5P16 and metal DN16021. Bird ringed as pullus on May 27 2005 at Jankowice Babice Malopolskie, Poland. 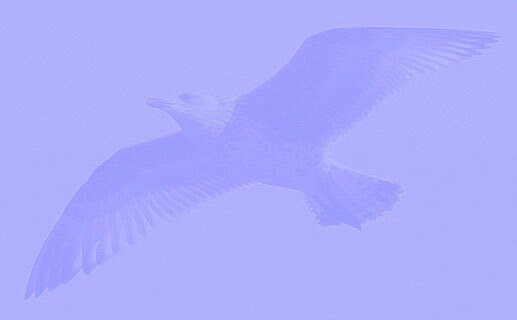 Maybe one of the parents is argentatus, but birds in complete moult are always difficult. New tertials and coverts with barred pattern.